The DMD4380 accepts a dc voltage or current input and provides an optically isolated dc voltage or current output that is linear to the input. It provides filtering, amplifies, and converts the input signal to the selected dc voltage or current output that you select. The 3-way 1200V isolation eliminates ground loops, common mode voltages and greatly reduces noise pick-up. 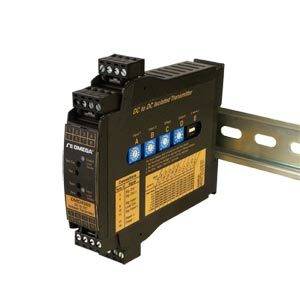 Standard features include a 15 Vdc loop power supply and a 20 Vdc loop supply for the output. The power supplies can also be wired to sink or source which allows the DMD4380 to be used with any combination of powered or unpowered mA inputs and powered or unpowered mA outputs including passive mA devices. Features such as red and green LEDs that vary in intensity to show input and output activity and an output test button help make set-up and troubleshooting fast and easy. † All prices on this site are shown in Philippine Pesos.